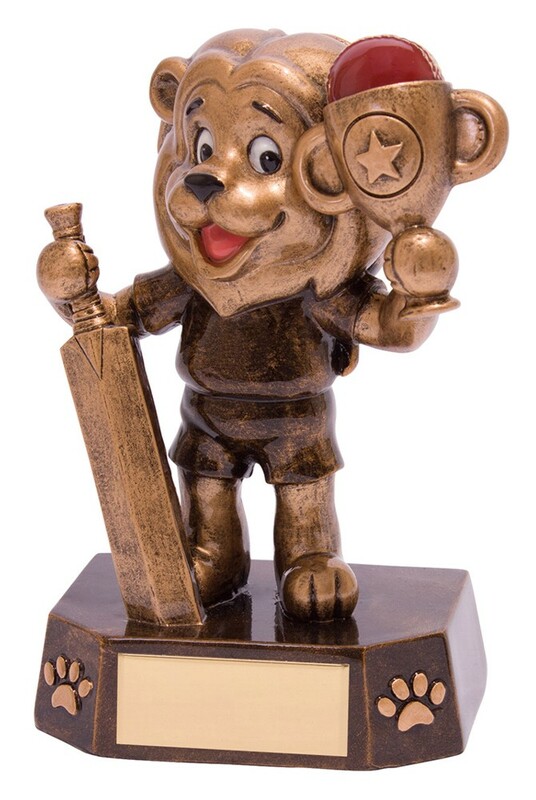 Resin Braveheart Cricket Achievement Award. Antique bronze with gold and red detail. Measuring 125mm high.